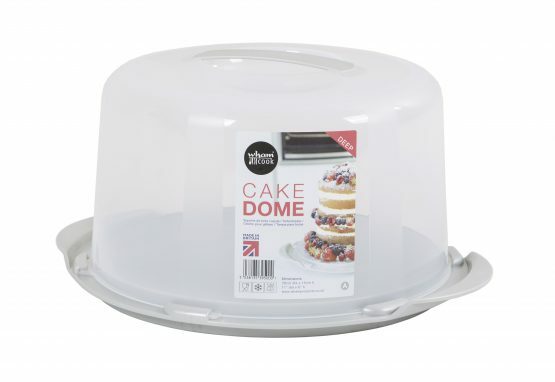 Large deluxe cake dome with firm interlocking base and easy to carry handle. Large enough to hold a two tier cake. Also ideal for storing cheese. Internal dimensions: 30x30x15cm.